Another item formulated and used for years to culture clownfish. 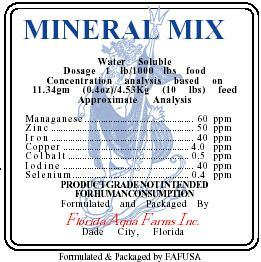 It is a full bodied mineral mix designed for use in limiting diets or one type of diet. Although it is speculated that minerals are not needed in marine conditions the statement is basically speculation and not well founded. Many new studies indicate subtle to significant changes due to the utilization of wide array of micro metals and minerals. 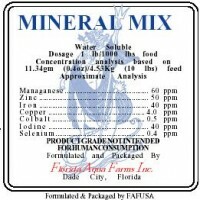 The premix contains mostly proteinated trace minerals. Potassium chloride and calcium carbonate are used as carriers. Recommended use is 5 lb/ 2000 lbs although higher levels should be considered in close system situations. 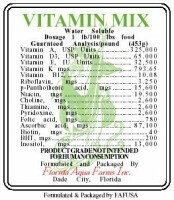 Manufactured by Florida Aqua Farms.